Because liquor was sort of, ya know, illegal during Prohibition, speakeasies had to get creative with their cocktail mixing. Whether it was to cover up a particularly unpalatable batch of hooch, or to stretch a little bit a long way, the Prohibition era birthed some of happy hour’s most iconic cocktails. And while most of these recipes are simple, if you don’t pay attention to details, you can ruin a classic. That’s why we enlisted Prohibition cocktail expert Meaghan Dorman of NYC’s Raines Law Room to tell us how these old stand-bys should be enjoyed today. What’s in it: Gin, half a lime, and club soda. Where it comes from: Turns out DC politicians can agree on one thing: the Gin Rickey is the capital’s official cocktail. Seriously. In 1883, a Civil War colonel turned Washington lobbyist invented the drink at local dive bar, Shoomaker’s, where the regular crowd was mostly journalists and politicians. (His name, not surprisingly, was Joe Rickey.) The original likely contained bourbon or whiskey, because that was preferred before they started mixing up gin in bathtubs during Prohibition. The gin version, though, was a favorite for F. Scott Fitzgerald, who thought you couldn’t smell gin on someone’s breath after imbibing. How you know it's legit: Dorman warns that the drink can get pretty tart if you don’t ask for a smidge of simple syrup, which isn’t found in the original recipe. "A lot of old drinks are either very sweet or very tart for us now, so I would say that’s the biggest adjustment that gets made,” she says. She also says to keep an eye on the color: if it’s too green or cloudy, there’s too much lime in the drink. What’s in it: Whiskey, Angostura bitters, a sugar cube, and twist of lemon. Where it comes from: For as long as there have been cocktails, the Old Fashioned has been around. Until the late 19th century, it’s what you would get if you asked the bartender for a “whiskey cocktail.” According to bar lore, the official name “Old Fashioned” comes from Louisville aristocrat James E. Pepper. While the cocktail survived Prohibition, lots of “creative” takes were dreamt up when the country was dry -- which caused several different, conflicting versions of the recipe. There were so many iterations that one cranky old man complained to the New York Times about it in a letter to the editor, saying that all the city’s bartenders had forgotten how to mix a proper Old Fashioned by the time the Volstead Act was repealed. How you know it's legit: Forget about garnishes, Dorman says you should pay attention to something else in the glass: the ice cubes. You want to make sure that the bartender stirs the cocktail separately, then pours it into a new glass with fresh ice. “It is a drink that’s supposed to be sipped on for a while,” says Dorman. “To see that someone has taken the care to give you fresh ice in your glass is a good sign.” If the color doesn’t look like the whiskey in the bottle, it’s already watered down. What’s in it: Gin, lemon juice, simple syrup, and dry champagne or sparkling wine. 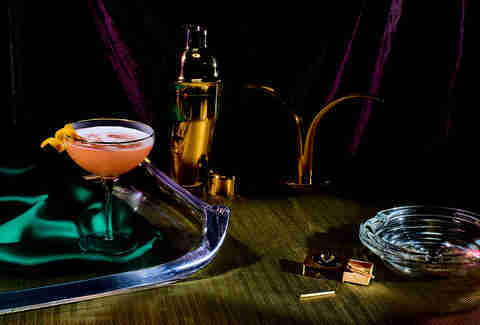 Where it comes from: Yes, this is a champagne cocktail. No, that doesn’t mean it’s reserved for New Year’s and weddings. It’s actually named after a rather intimidating gun that was used by the French during WWI -- it was also the era’s bad boy of literature, Ernest Hemingway’s favorite cocktail. The French 75’s history is as murky as the morning after drinking a few: some believe it to be one of the few cocktails actually created during Prohibition, while others think it got its first pour as early as the Victorian era. How you know it's legit: Just because this is a champagne cocktail doesn’t mean it should be made with the cheap stuff, says Dorman. Normally those are sweeter varieties that when combined with simple syrup become too sugary. “The first couple sips might be good, but it may be difficult to finish the whole thing,” she says. A little extra lemon zest on top or a twist will also make for great aromatics. What’s in it: Rye whiskey, absinthe, simple syrup, Peychaud’s bitters, and a lemon twist. Where it comes from: If you’ve been on a tour of New Orleans, some lively guide likely told you that the Sazerac was the first American cocktail. (According to drinks historian David Wondrich, they’re not exactly right.) 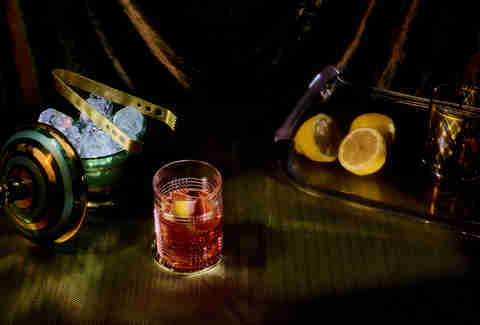 The folklore is that Peychaud’s bitters, a key Sazerac ingredient, was invented by a New Orleans apothecary, then added to some Cognac to make the first Sazerac cocktail in 1838. The recipe was altered in 1870 to feature whiskey instead, thanks to a Cognac shortage, and it’s been New Orleans’ pride and joy ever since. How you know it's legit: Today, you can drink a Sazerac with whiskey or cognac, says Dorman. (For the record, she prefers her cocktail as a half and half of both). She also points out that the Sazerac should be served in a cold glass, not over ice, which can confuse some bartenders -- and don’t forget a twist of fresh lemon, which gives the drink that crucial citrus kick. What’s in it: Cognac, Cointreau, fresh lemon juice over crushed ice, and a sugar rim. Where it comes from: The official version of the story is that the Sidecar was dreamt up in Harry’s New York Bar in 1920’s Paris. That history is a little too clean cut for some to believe, though. (Facts are bound to get fuzzy when it comes to cocktail history.) Another theory is that the Sidecar got its roots from a cocktail that first appeared in Jerry Thomas’s illustrated Bartender’s Guide of 1862, but served with bitters and Cognac. Wondering about the name? It’s said to be derived from an old bartender term for the shot glass bartenders drained excess liquor into (deemed the sidecar). How you know it's legit: Just because this drink gets mixed in a cocktail shaker does not mean it doesn’t pack a punch, and that’s something the drinker (and drink mixer) should look out for, says Dorman. “Cointreau is a sweetener, but it’s also an alcoholic ingredient, so when we make it we cut back the cognac to account for that -- so it’s not overwhelmingly boozy,” she says. What’s in it: Gin, lemon juice, and honey. Where it comes from: Adding a sweet element to a cocktail became popular during Prohibition because it was an easy way to mask the taste of bad booze. The Bee’s Knees, however, was one of the more interesting varieties -- thanks to the addition of honey. At first it was considered a novelty drink because of this “odd” ingredient, but cocktail historian Dale DeGroff writes that it was one of the first drinks to get bartenders interested in using honey as an ingredient since colonial days. How you know it's legit: In some bars, honey can still be a novelty ingredient, Dorman says. But to really make it work for cocktails, it must be made into a simple syrup, achieved by mixing the honey with warm water. If it’s not, the honey will thicken up, making for a big chunk of it in your cocktail. Besides that, she suggests looking for local honey, rather than the stuff in a bear-shaped bottle, and be on the lookout for bars mixing these with interesting flavors like orange blossom or wildflower, which will add another dimension to your drink. And don’t forget to insist on fresh lemon juice. What’s in it: Mint, gin, lime juice, and simple syrup. Where it comes from: One story is that the Southside got its name thanks to (in true 1920s fashion) some gangsters on the South Side of Chicago looking for a way to cover up their not-so-great hooch, and then somehow morphed into the drink of choice at waspy East Coast country clubs thanks to its summer-y nature. The other theory is that the Southside Sportsmen's Club on Long Island served it to wealthy dudes after a morning of hunting, inspiring every other country club on the “gold coast” to create their own variety. Basically, which theory you subscribe to depends on whether or not you believe gangsters would care enough to muddle mint into their illegal booze. How you know it's legit: When your bartender muddles the mint, they should be doing it gently, not like they are trying to get out a week’s worth of frustrations, Dorman says. Crushing mint too much can make it bitter, and lead to a drink that tastes as bad as 1920s gin. “You want to get those aromatics and the flavor, but you don’t want to break up the mint and make the drink muddy and bitter,” she says. On the other hand, you also want to make sure they aren’t too heavy-handed with the simple syrup -- again, we’re not covering up bathtub swill here. What’s in it: White rum, pineapple juice, maraschino liqueur, and grenadine. Where it comes from: Although she was Canadian, Mary Pickford was known as America’s sweetheart in the 1920s and starred in silent movies alongside famous chaps like Charlie Chaplin. (I guess Americans have a thing for claiming Canadians as their sweethearts.) The story goes that she, her husband Douglas Fairbanks, and Chaplin were in Havana when a bartender whipped up this tropical concoction and named it in her honor. How you know it's legit: Today’s bottled grenadine is just high fructose corn syrup and Red Number 40 (aka, literal crushed bugs.) If that doesn’t sound tasty, check to see if the bar makes their own grenadine, or at least uses one that includes pomegranate, Dorman says. That’s because long before it was a bottled science experiment, grenadine was just a simple syrup, made with pomegranates and sugar (the French word grenada, which grenadine derives from, literally means pomegranate). What’s in it: Rye whiskey, lemon juice, orange juice, and grenadine. Where it comes from: It wouldn’t be the 1920s without seedy politics, and that’s exactly why the Ward Eight was (allegedly) created. A Boston bartender made the drink on election night, when a local political boss won his seat on the Massachusetts state legislature -- thanks to some election rigging in Boston’s Ward Eight voting district. (Apparently, his win was such a shoe-in they started celebrating before the votes were even tallied.) 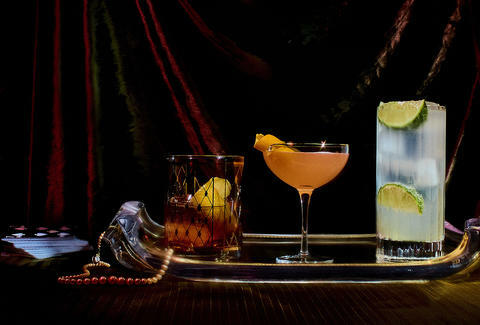 It came to national fame when Esquire named the Ward Eight one of the top cocktails of 1934 -- an important year for drinking history, because the Volstead Act had just been repealed at the end 1933. How you know it's legit: Along with cheap happy hours, count fresh OJ among the stuff you don’t always find at a bar, but should. Dorman says that freshly squeezed orange juice doesn’t keep very well behind the bar, leaving most barkeeps to turn to frozen stuff in a can. When it comes to the Ward Eight though, squeezing a few oranges fresh will take the drink from a lackluster brunch option to a legit cocktail. What’s in it: Whiskey or scotch with club soda, but really any liquor will work. Where it comes from: Whether you mix it with gin, tequila, or green-tea infused whiskey, the patriarch of the Highball family is the scotch and soda. Determining who was the first person to combine scotch and club soda is like trying to nail down who first scrambled eggs, but legend has it that the English actor E.J. 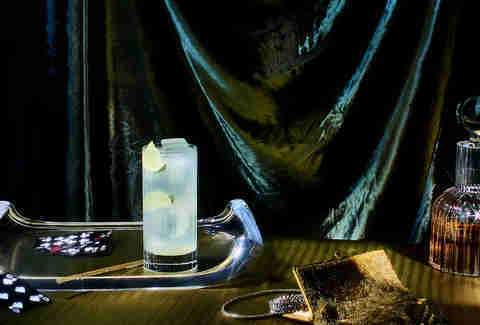 Ratcliffe brought the drink across the pond to New York in 1894, gracing happy hours with this staple cocktail for generations. How you know it's legit: With only two ingredients, what could there possibly be to screw up? Turns out that sometimes the simplest things can be the hardest to master. The Highball is all about balance, says Dorman: “Sometimes bartenders try to be nice and generous -- and because you’re ordering a Highball, it’s because you want a mixed drink and you probably want a decent amount of liquor in there. And I think that’s the disappointing part.” You want the drink to be 50% liquor to 50% club soda. Overdoing it on either can make for a disappointing drink -- which is exactly what you don’t want after ten hours in front of a computer.